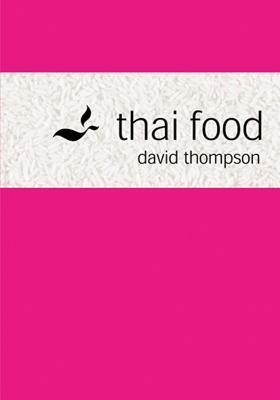 Thai Food gives the most comprehensive account of this ancient and exotic cuisine ever published in English. Michelin-starred chef David Thompson shares his passion for the unique style of cooking that he believes to be one of the world's greatest cuisines. He provides over 300 mouthwatering recipes, from the simple, honest flavour of a classic pad thai or the refreshing tang of a Green Papaya Salad to such elaborate creations as Green Curry of Trout Dumplings with Apple Eggplants or Stir-fried Crispy Fish Cakes with Pork and Salted Eggs. A series of introductory chapters examine the role of food in Thai culture and society, offer guidance on ingredients, with notes on availability and substitutions, and explain the essential techniques of Thai cookery. More than 50 menus provide ideas for combining Thai dishes. Beautifully written, and complimented by superb photography, this book captures all aspects of this diverse culinary culture. David Thompson is one of Australia's leading chefs, restaurateurs and cookery writers. He is also an eloquent ambassador for Thai food and culture. His Sydney restaurants have increased the awareness and appreciation of authentic Thai cooking. In July 2001 he opened Nahm, in London's Halkin Hotel. Seven months later Nahm gained a Michelin star, making it the first Thai restaurant to attain such an award.